We’ve all nodded along sagely to warnings that Double Gameweek players don’t necessarily outscore their single-fixture counterparts, but it takes a week like this to make us actually believe it. 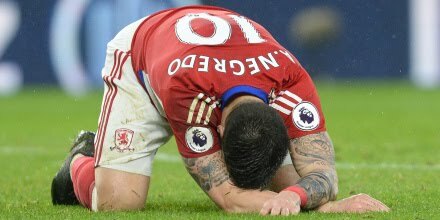 Alvaro Negredo quickly became chief scapegoat in what turned out to be a classic case of valuing fixtures over player quality and team form. As Christian Benteke (CRY, 7.3) gleefully sunk Liverpool, ‘Negredon’t’ replaced ‘Blankaku’ as a watchword for the false promise of DGWs. We’ve been here before, of course. Who among us hasn’t felt like a player only ever scores as soon as we sell him? But while we curse the Negredos, Rashfords and Zahas, there’s an alternate lesson to be learned here, and that’s being open to forgive that player who so callously betrayed your faith in him. We all have our heroes and villains in FPL, but disaster awaits the manager who lets history get in the way of sound judgement. If Antonio Conte is The Godfather, Diego Costa is Jake La Motta in Raging Bull of 1960's Italian-American cinema. Costa was on the rampage on Tuesday, with two goals and an assist versus Southampton to take his Premier League tally up to 51 goals and 15 assists in 85 games, the 8th fastest player to reach 50 PL goals. The striker is known for his petulance, but when he directs his fiery competitive streak into scoring goals Costa can be a reliable striker in FPL. It seems his head is in the right place. For now. Eden Hazard put in a fine performance in Chelsea's 4-2 victory, though he only managed one goal. Stats suggest he could have created an assist and scored more. Hazard created 5 chances and completed more passes in the final third than any player on the pitch. The points will come if he continues to play with such confidence. Christian Eriksen scored the solitary goal on a Wednesday night that saw three 1-0 wins. Eriksen has 11 assists and 6 goals in his last 13 PL games, usurping the likes of Mesut Ozil and Roberto Firmino for goals and assists in the same time. The Spurs midfielder is in the form of his career. Hull look favourites to seal survival after a crucial home win against Watford. Lazar Markovic's 2 goals and Kamil Grosicki's 3 assists since signing in the January window have helped to get Hull out of the relegation area. It's 3 wins in 6 for Hull, as they look to complete the great escape. Expect the KC to be a tough place for any side to go. Alexis Sanchez blanked at home to Leicester and a yellow card told of his frustrations. 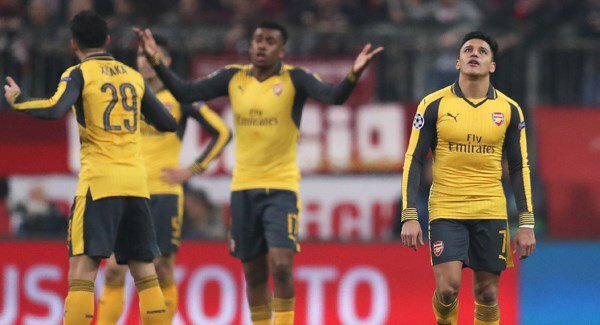 A lack of motivation is only obvious from Arsenal's recent slump as Sanchez's Arsenal future is in doubt. 2 in 6 is derisory in comparison to earlier season form. It remains to be seen whether this under par showing from Sanchez in recent weeks continues into his two double gameweeks. Stoke... Players are in relegation form, fans unhappy, manager in the firing line. After a week of speculation around whether Zlatan Ibrahimovic would play both of Man United’s GW34 fixtures, we all got our answer in dramatic fashion last night. The big Swede landed awkwardly before hobbling off with what looks like a nasty injury. And so the rush to replace one of the most popular players in FPL begins! Having scored against Sunderland and Chelsea recently, a late winner against Anderlecht seems to have catapulted Marcus Rashford (MUN, 6.5) into ‘obvious replacement’ status in the eyes of many. 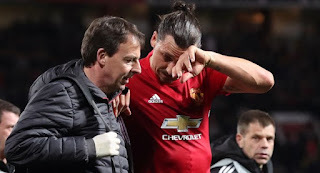 But while the price is right, Man United’s starting line-up remains easily the most unpredictable in the league - a situation only compounded by their Europa League survival. With Wayne Rooney back and Zlatan’s replacement Anthony Martial playing for his United future, a consistent run as lone striker for the 19-year-old could be a case of wishful thinking. 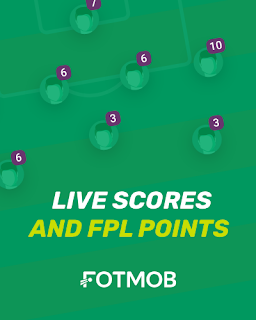 What is FPL Form & Which Players Are Finding It? One thing that I’ve found to be lacking within the FPL-sphere is people identifying which players are coming into form. It’s easy to label a player who has scored in his last four matches as somebody who is in form, but how can we pick up on these players earlier and capitalise on their points before our rivals do? The word form is bandied around a lot by FPL managers and whilst there is a close relationship between real life performance and FPL returns, it’s important to identify the differences between the two to ensure your transfer decisions are made rationally and not under false pretences. For example, if a striker fails to score in two successive matches, you can log into Twitter and see thousands of fantasy managers branding him ‘out of form’ and speculating replacement players who have scored in their last two. This is an element of game theory that Fantasy Football Magazine touched on called recency bias. If you’re looking for additional reading, download the first edition for free from their website. FPL Form: This specifically relates to a player’s point returns on fantasy football. Player Form: The statistical performance of a player in matches. Team Form: The statistical performance of a team’s attacking performance. The three terms mentioned above are what I use to distinguish which players are coming into - or dropping out of - FPL form. A combination of the three has proved accurate in my testing and during Gameweek 32 displayed very positive results. FPL Form: Poor, 3.6 PPG (Last 6 GWs). Summary: Costa has shown a dip in his performances (Player Form) and subsequently provided less FPL returns (FPL Form) over the last 6. Chelsea have only scored 8 in their last 6 which is 1 less than Crystal Palace & half the amount of Everton (Team Form). Summary: Sigurdsson has had the second highest amount of shots on target from all midfielders over the last 6 gameweeks. However, due to the poor form of his team his FPL Form has subsequently dipped. How to use all three metrics to forecast which players are coming into FPL form. I’ve chosen the 20 highest scoring midfielders/forwards from the last TWO gameweeks [I found these by sorting FPL points by a GW range]. This provides me with a list of players who will have likely been added to many watchlists and triggered a few knees to jerk, as they’ve shown the early signs of form developing. Note: I understand that some of these players haven’t come into FPL form over the last two weeks and are already in good FPL form. However, I’ve decided to include them to help with possible transfers. 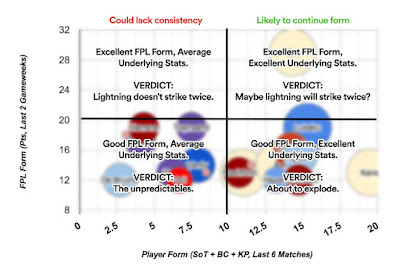 I’ve then mapped FPL Form against Player Form. The X axis shows which players have had the highest amount of shots on target, big chances and key passes from the last SIX matches. I chose these metrics because I personally believe them to be the most accurate when forecasting expected goals & assists. Another Note: I chose to use ‘matches’ rather than ‘gameweeks’ as some players have seen reduced minutes over the last six weeks due to injury or suspension (e.g. Kane & Ibrahimovic). Finally, the bubble size indicates team form. The bigger the bubble, the more goals their team have scored in the past SIX gameweeks. Disclaimer: The table only does not include Poisson Distribution, this is left to you. This includes modelling potential returns based on opposition weaknesses/form, players returning back from injury to boost the team, having something left to play for, etc. Gameweek 34: Which players are hitting form? Son Heung-Min is in the form of his life. Tottenham are smashing in the goals, he’s having lots of shots on target/big chances and he’s raking in the FPL points. Harry Kane returned from injury with a goal and assist for free-scoring Spurs. Get him in now, he’s a season-keeper with Tottenham chasing the leaders. Roberto Firmino has found his scoring boots and seen an increase in FPL form since Mane’s injury. Only 15,000 people have transferred him in ahead of GW34, he could be a shrewd differential. Zlatan Ibrahimovic has been performing better than his FPL points reflect, if you have the cash and want a DGW34 player - he’s your man… obviously. Just be wary of rotation. Marko Arnautovic should be your go-to if you’re looking for Stoke coverage. He has better underlying statistics than Walters & Shaqiri, but beware of Stoke’s poor attacking form. If you’re looking for a Crystal Palace player for their double gameweek, Andros Townsend appears to be a better candidate than Wilfried Zaha. Ander Herrera looks to have peaked and could be worth steering clear of. Meanwhile, it’s too early to tell with Kevin De Bruyne though his poor goalscoring form is as turn off for a player of his value. With Chelsea in need of three points, Eden Hazard will be looking to bounce back from his poor performance against United. There’s lots more to take from the table, but I’d like to leave it to you guys to analyse. Feel free to drop a comment or send me a tweet with any particular findings that you found interesting. If you liked this article, you can find weekly posts from myself within the Fantasy Premier League Tips section of fplbet. 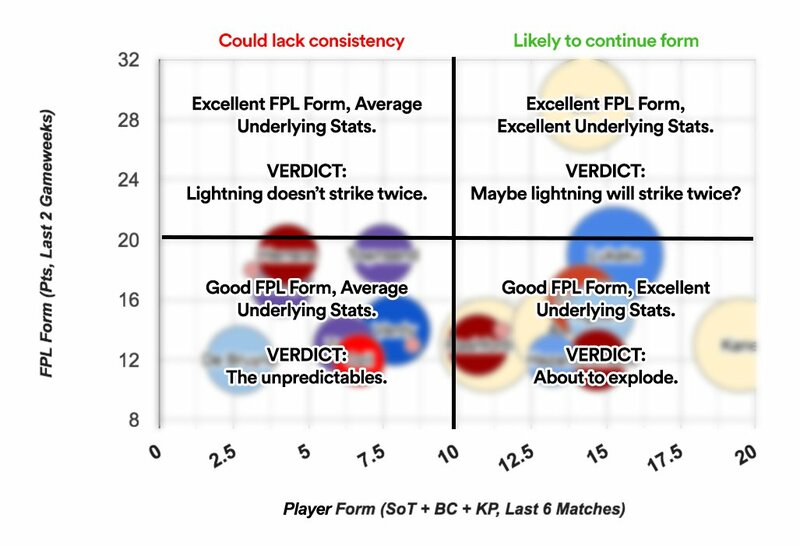 Labels: What is FPL Form & Which Players Are Finding It? Zlatan was rested against Chelsea as his potential successor Romelu Lukaku kept up his scoring form with a goal against Burnley. Lukaku ought to be kept to avoid losing value, but West Ham away and Chelsea at home will pose different challenges, and Lukaku can never be totally relied upon away from Goodison Park or against a top side, despite scoring 24 goals as the league's top scorer. A certain Harry Kane is back to chase down Rom, with a goal and assist in his side's 4-0 rout of Bournemouth, his first start since his injury 4 gameweeks ago. Kane has notched a goal every 100 minutes, the best strike rate of any player in the league. Kane and Lukaku could prove better value than Zlatan Ibrahimovic, who has failed to live up to his billing as second most expensive striker when the season started. Ibra has a double gameweek next, but one of those games is away at the Etihad, so managers may need to steer clear of Zlatan's lure. Over the past 3 gameweeks Spurs have had 3 or 4 players on top of their game tussling with the best in FPL for a place in your team, the appeal of trebling up on Spurs has grown and grown, as they have managed to concede just one goal and score 11 in three games. Which of the three to go for is in question, but you might be surprised to know that Dele Alli isn't one of the stand-out trio on recent form. It seems that Son has decreased Alli's action in the final third. Son is notably playing higher up than the Englishman, so Alli's effect on the game is much less. Son is still a cheap differential, so it could be a wise move for the 35% who own Alli to cash in on his much higher price for a player in better form and have an extra 1.5 to play with. Either that, or ride out Alli's comparative slump and hope for a change in fortunes. After some disappointing weeks, the high-scoring GW32 was just what we needed to get excited about our Fantasy Premier League team again. This week also saw the Premier League higher-ups finally get the finger out and reschedule those pesky postponed games. Suddenly all those notional Double Gameweeks emerged from the mists, there for all to see. As expected, the “bumper” DGW37 duly arrived, much to the relief of those planning to wildcard in GW36. In the end, Arsenal’s match against Southampton was moved out to GW36 - a blessing and a curse for many FPL managers. It hasn’t been easy owning the top-scoring player in FPL lately. Alexis Sánchez (ARS, 11.6) has reached new levels of despondency, as the painful realisation that he could once look ahead to see the likes of Messi and Neymar instead of Danny Welbeck slowly dawned on him. Returned to the squad last GW and showed his dominance when he came off the bench. With 5 goals in his last 2 games against the Cherries, as well as 56 points in his last 4 home games, expect Kane to return to the Tottenham starting line up with a bang in GW33. However, for managers that do not own Kane, Alli and Eriksen are worthy captaincy alternatives. The league's leading goal scorer has not blanked at home since GW17, returning 13 goals and 3 assists in his last 7 games at Goodison. Over this period, he has registered on average 4.4 shots per game. Facing Burnley, who have not won away from home all season and have the 4th worst away defence, Lukaku should have some good opportunities to score this GW. Zaha's pace and directness will be a key factor against a Leicester backline lacking speed. His form recently has been excellent, with 2 goals and 3 assists in his last 5 games. Palace's win against Arsenal will give them great confidence to overcome a Foxes side who conceded 4 goals away from home last GW. Also, Leicester may be suffering from fatigue due to their heavy schedule of matches, and will likely rest their key players in this match so they will be fresh for the Champions League QF 2nd leg against Atletico, and this boosts Zaha's appeal further. Liverpool's little maestro has re-found his best form over the last 3 GWs, with 3 goals, 1 assist and 5 bonus points. He also has a shot frequency of 1 every 18.2 mins and has created a chance every 22.75 minutes over this period. West Brom's central midfield of Brunt, Livermore and Fletcher is not very mobile, so the dribbling and trickery of Coutinho should see him find numerous spaces for a shot or shot assist. Having missed the majority of the season through injury, Shaqiri returned to the starting line up last GW against Liverpool and immediately showed how good he is. He provided 1 assist from 2 shots assists, and had 2 shots (he also had a goal disallowed for a narrow offside). Playing at home again this GW, he will be facing Hull, who have conceded 10 goals in their last 3 away matches. Also, last time Shaqiri faced Hull, he netted a brace, taking 3 shots and creating 5 chances, so he will go into this match full of confidence. With 4 goals, 1 assist and 6 bonus points in his last 4 home games, Deeney comes into GW33 with form on his side. Having been rested in 2 of the last 3 GWs, he should be fresh and ready to take advantage of a Swansea defence that has shipped on averaged 2 goals per game over their last 6 away matches. Although having his minutes restricted, Mirallas has provided a steady stream of returns lately. 4 assists and 1 goal from 6 appearances (only 3 starts) has Mirallas is great form. This is supported by his underlying stats, where he has had 3 shots on target and created 7 chances in his past 2 starts. It is also worth noting that in his last 3 home starts, he has averaged nearly 11 points per game. Although Burnely's defence has been solid in the past few GWs, Everton's home form is superb, having scored 26 goals in their past 7 games as Goodison (3.7 per game), so Mirallas should have numerous chances to provided FPL points to his owners in GW33. Despite blanking in 9 out of his last 10 games (7 in a row), I'm backing Defoe to get back amongst the goals in GW33. Over the last 2 GWs, he has shown signs of re-finding his goal scoring form, registering 11 shots (7 inside the box). If Defoe can replicate this attacking output, it is likely that he will find the back of the net against a West Ham defence that has conceded 48 shots inside the box over the past 5 GWs. Also, Sunderland need to win if they are going to mount a late season run to get out of the relegation zone, so that will act as motivation to push for victory in this match. If you have any questions about GW33 or need some advice on your team, please don’t hesitate to contact me on twitter – I’m happy to help. Enjoy this week’s Premier League action and good luck to all FPL managers for GW33. This weekend of PL action was not short of goals from top clubs. The top 6 clubs scored 13/29 of all the goals in the gameweek. Key players in FPL came good, from Hazard and Costa to Barkley and Lukaku, but Heung-Min Son was the pick of a gameweek full of points. "Go on Son! ", so say the FPL avids on Twitter. On target twice, Son was dangerous throughout Spurs' comprehensive victory over Watford, and a part of all Spurs' best moves. The smiling Korean reassured fantasy managers that he is a nailed-on starter on the left wing, even with Harry Kane's return from injury. Son gives managers another decision to make. Which of Tottenham's prestigious talents to leave out of your team for the double gameweeks, in which Spurs don't feature, is a growing dilemma. Spurs are the form team in the league with still a title/2nd place/a Champions League place to fight for in a mega-close top 6. Spurs are ending the season as the team to beat, though it's Chelsea's title to lose. Below the top 2, 4th place Man United and 3rd place Liverpool are on course to finish above Arsenal if recent performances are anything to go by. United are unbeaten in 6 games, while Arsenal have lost 4 of their last 6. This is important to note for double gameweek planning. The first of which is GW34 when Ibrahimovic, Mkhitaryan and Rashford, who all scored on Sunday, look like mouthwatering propositions for trips to Burnley and Man City. Liverpool's Brazilian talents, though a class apart from Stoke in the second half on Saturday, are not as tempting without gameweeks in which they play twice. Crystal Palace are not to be sniffed at as cannonfodder in their tough run-in. Last week they won at Stamford Bridge and this week beat Arsenal 3-0 thanks to Big Sam's proven survival kit. Wilfried Zaha, Andros Townsend and Christian Benteke all look revitalised under the new regime ahead of their double in gameweek 34. The message from this gameweek? Sign players from the form teams who still have something to play for. We’ve all seen some controversial points calls in FPL this season (mostly involving Gareth McAuley), but none matched ‘Navasgate’ for pure comedic farce. Despite developing probably the most transparent bonus points system in the history of fantasy football in general, the FPL has endured its fair share of conspiracy accusations this season. This reached new heights in GW30 when something of a statistical anomaly saw makeshift Man City right-back and all-round non-entity Jesus Navas (MCI, 6.1) collect maximum bonus points, courtesy of a few successful tackles and the like. Needless to say, some in the FPL community weren’t too happy about it. But life goes on, and a whirlwind week of fixtures seems to have thrown up a new problem for us to consider. It has taken him until April, but Jamie Vardy is starting to hit the goal trail. After scoring in 11 consecutive games last season, it is safe to say Vardy has failed to reproduce the same sort of goalscoring form this season. It is difficult think the same striker scored 24 goals last season, but with a goal in each of his last three games, it's the first time he has managed to score in three straight league games all season. Vardy is a pricey 10.0, but is a good differential option to replace the misfiring pair Diego Costa and Romelu Lukaku, who are around the same price. Both are temporarily out of form, without a goal in their last two. Keep your eye on the Leicester striker to make up ground in the run-in. Spurs left it late against Swansea, but they turned around a 1-0 deficit to win 3-1 as Alli and Eriksen scored and assisted. Spurs have won all three games without Harry Kane, who was ruled out for at least 6 weeks with ankle ligament damage. There were concerns from Dele Alli and Christian Eriksen owners as to their output without the talismanic forward, but they seem to be coping in his absence. 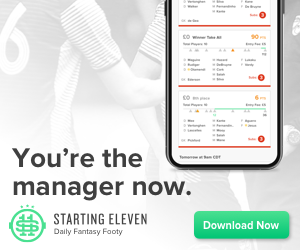 The predicament managers now face coming up to the double gameweeks is which of the two Tottenham midfielders to include in their wildcard teams. Alli has 2 goals and 3 assists in the three games without Kane, while Eriksen has 2 goals and 2 assists, but Eriksen claimed maximum bonus points in the Swansea game. Eriksen is 0.2 cheaper, but Alli has racked up 11 more points over the season. Decisions, decisions. Points have been in short supply from the usual suspects this gameweek. Lukaku blanked in Saturday's early kick-off at Anfield, the most popular captain pick Diego Costa couldn't find the net at home to Crystal Palace and Alexis Sanchez was unable to score or assist against a defensively shabby Man City. Only the comparatively low owned Aguero provided goal returns of the big-hitters. Diego Costa's blank was particularly disappointing, as scoring returns seemed certain with the reliability shown thus far this season from the centre-forward. Crystal Palace have been far from solid even with Sam Allardyce in charge, but Costa was unable to convert any of his 9 shots on a frustrating day for Chelsea, which showed in Costa's yellow card. The stand-out player of the gameweek was Phillipe Coutinho. It has been a good season for the playmaker that was cruelly hindered by injury just when he was in top form. Despite a 7-week lay-off, Coutinho has 7 goals and 7 assists to his name. FPL managers were reminded of his ability with a classy curled effort and a second half assist against Everton. Those who pledged faith in him returning to early-season performances were rewarded and will be hoping he can stay injury-free and in form. The Champions are not the unstoppable force they were this time last season, but they are back winning games. Their 2-0 defeat of Stoke was their forth straight victory under Craig Shakespeare. Jamie Vardy was on the scoresheet with a stunning volley that showed the renewed confidence he is playing in now. That is four in four for the England striker. Leicester players, and Vardy in particular, should be back on the FPL radar.